Today Flatmatters is 2 years old. It is ran by Effraim Catlow. When we were at JoMoPro in 2010 I had the honor to have a interview him. Effraim Catlow Interview from BMX Freestyler on Vimeo. 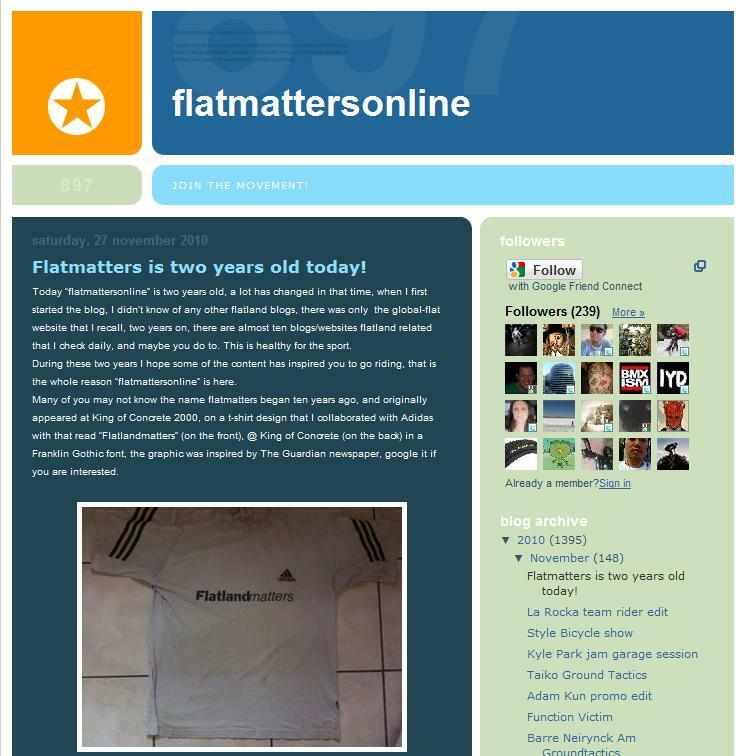 Effraim Catlow of Flat Matters was kind enough to do a interview for BMX Freestyler. He is so very cool, laid back and just one heck of a guy! Enjoy the interview and please show your support with a comment! I'm a big fan of flat matters, and Like Bobby Carter, Effraim rides as well as represents the lifestyle. Thanks goes out 2 all that keep this sport alive and current for all 2 see. And thank you Mark!